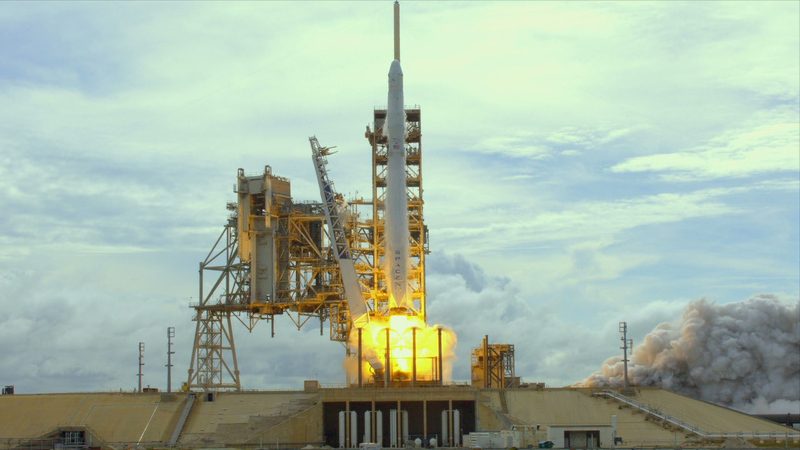 The SpaceX Dragon cargo craft lifted off from Launch Complex 39A at NASA's Kennedy Space Center in Florida at 5:07 p.m. June 3. About 6,000 pounds of research equipment, cargo and supplies are packed into the cargo craft that is now in Earth orbit and headed to the International Space Station. A little over two hours after it was captured by Expedition 52 Flight Engineers Jack Fischer and Peggy Whitson, the unpiloted SpaceX Dragon cargo craft was attached to the Earth-facing side of the Harmony module of the International Space Station. Ground controllers at Mission Control, Houston reported that Dragon was bolted into place at 12:07 p.m. EDT as the station flew 258 statute miles over central Kazakhstan. Earlier, the Dragon was grappled by Fischer and Whitson using the Canadarm2 robotic arm at 9:52 a.m. EDT at the completion of a flawless two-day journey for the resupply vehicle following its launch atop a SpaceX Falcon 9 rocket from the Kennedy Space Center, Florida on Saturday. 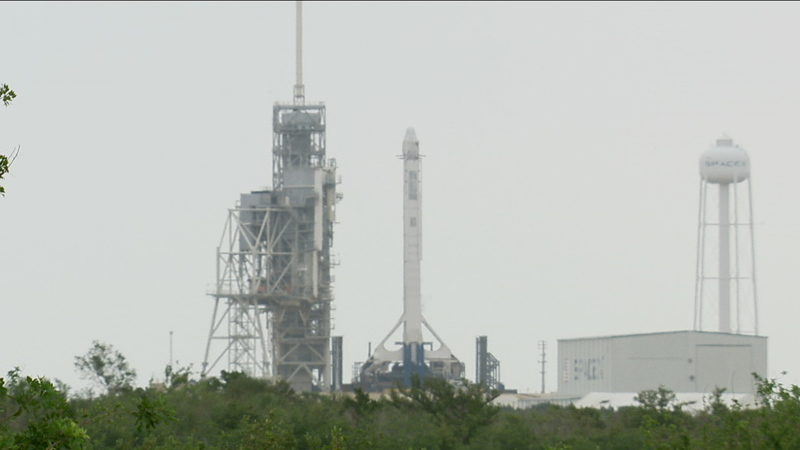 SpaceX’s eleventh commercial resupply services mission to the International Space Station is delayed to Saturday, June 3. 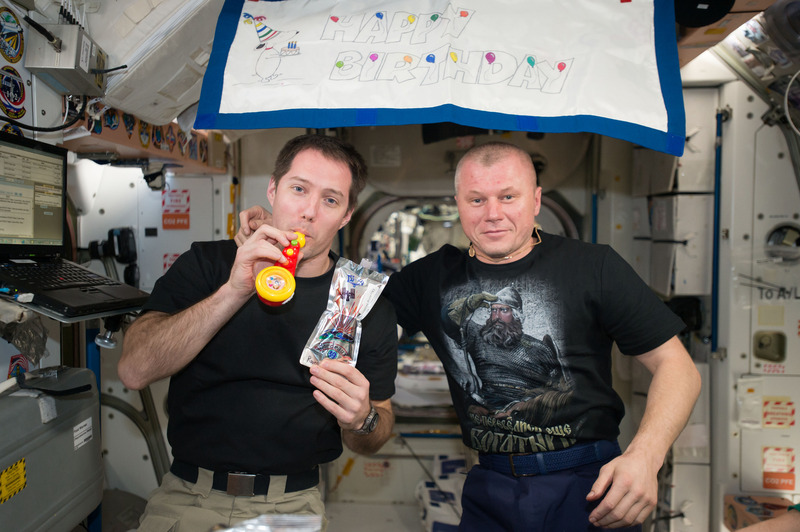 ESA (European Space Agency) astronaut Thomas Pesquet and Russian cosmonaut Oleg Novitskiy celebrate Pesquet's birthday aboard the International Space Station. Two crew members on the International Space Station <https://www.nasa.gov/station> are scheduled to depart the orbital outpost Friday, June 2. Coverage of their departure and return to Earth will air live on NASA Television and the agency’s website <https://www.nasa.gov/nasatv>beginning Thursday, June 1, with the space station change of command ceremony. Expedition 51 Flight Engineers Oleg Novitskiy of Roscosmos and Thomas Pesquet <https://twitter.com/Thom_astro> of ESA (European Space Agency) will undock their Soyuz MS-03 spacecraft from the space station at 6:50 a.m. EDT and land in Kazakhstan at 10:10 a.m. (8:20 p.m. Kazakhstan time). Together, the Expedition 51 crew members pursued hundreds of experiments in biology, biotechnology, physical science and Earth science aboard humanity’s only orbiting laboratory. Their return will wrap up 196 days in space, since their launch on Nov. 17, 2016. This illustration shows a hypothetical planet covered in water around the binary star system of Kepler-35A and B. With two suns in its sky, Luke Skywalker's home planet Tatooine in "Star Wars" looks like a parched, sandy desert world. In real life, we know that two-star systems can indeed support planets. ar Wars" looks like a parched, sandy desert world. 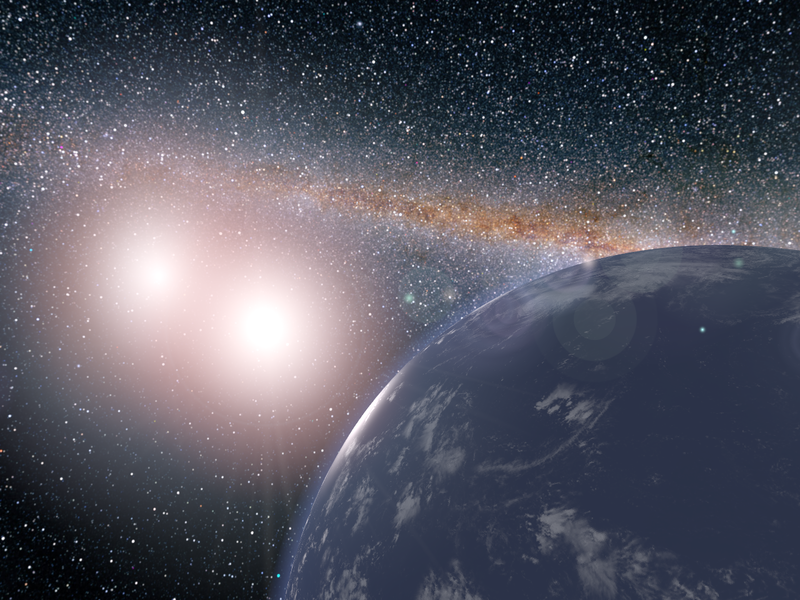 In real life, we know that two-star systems can indeed support planets.